I’ve been watching What I Ate Wednesday posts from the sidelines for a while. They looked like fun – if nothing else than an outlet to continue to meet other bloggers, and to have a food journal, of sorts, when I’m stumped for food ideas. So I decided to give it a shot. This week I am joining Peas and Crayons’ What I Ate Wednesday roundup. I figured I had the perfect opportunity to catch some yummy meals this past Friday, because I was taking a vacation day (to spend some time with Nathan, since he was on spring break). 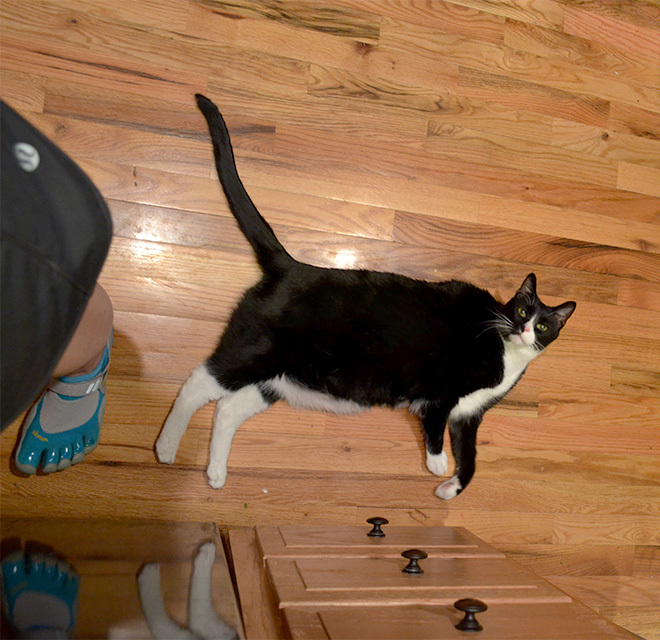 It was a great idea, and I did eat some yummy foods – but it was such an atypical eating day for me. Hello sleeping until 1130am. So, I’ll preface this ‘What I Ate Wednesday Friday’ with saying, I really like food, and I sure didn’t eat very much of it on this day. 1130am – (I would usually be at least 2 meals in at this point) Peanut Butter on Rice Crackers. 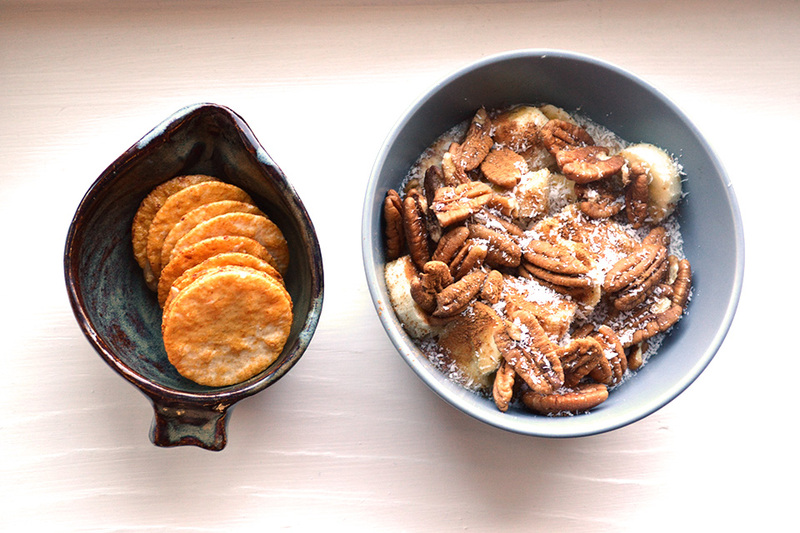 Homemade plain yogurt with bananas, pecans, cinnamon and shredded coconut. Post – Run I decided to stop at the store to get a sweet potato to make a soup for late-lunch. But, I was a tad bit hungry (bad timing) and ended up with much more than a sweet potato. 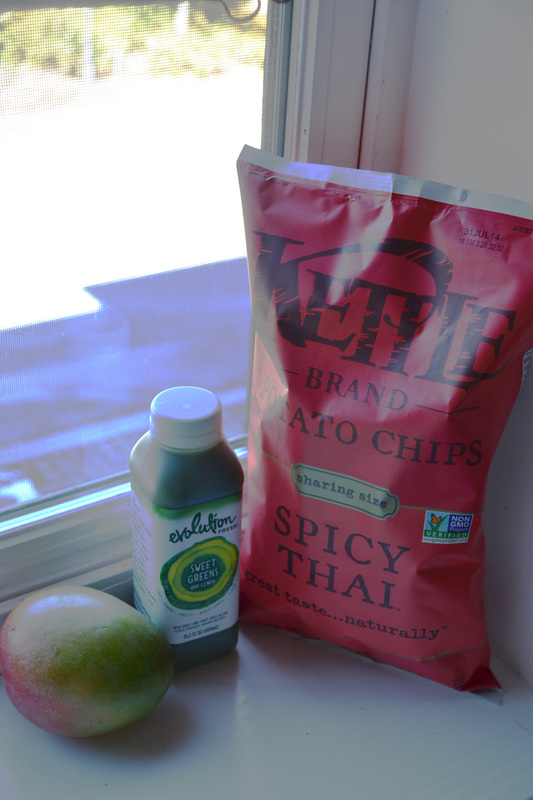 230pm snack – Spicy Thai kettle chips, a green juice that wasn’t-awesome, and a mango, that I ended up being to lazy to cut up after I took the picture. 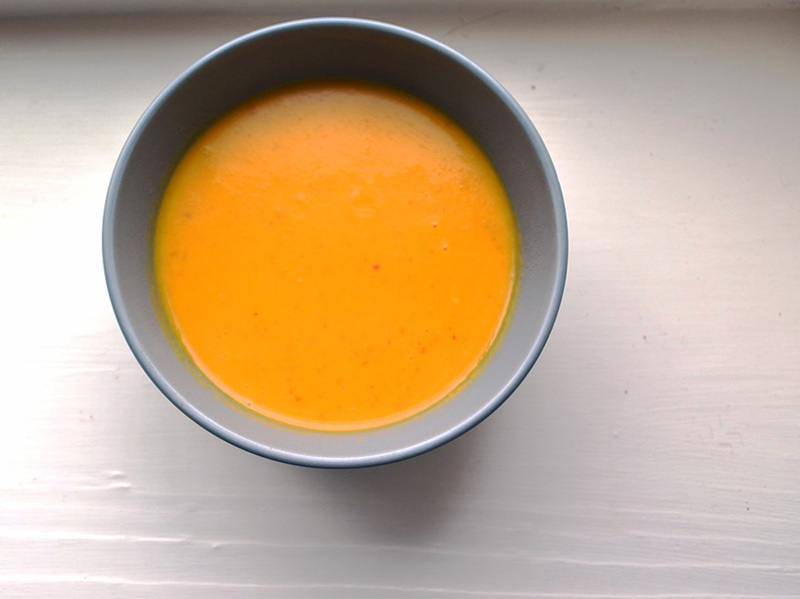 Thai sweet potato and carrot soup. x 3 bowls. Made in the Instant Pot. I rounded the evening off around 930pm with a glass of cinnamon tea, which I failed to take a picture of. Catch up with other awesome eats here! See you guys tomorrow for Thinking Out Loud Thursday! It’s so yummy! I have become borderline obsessed with it lately 🙂 Thanks for stopping by! It is SO yummy! I’ve missed eating yogurt!! Ecstatic to have it back in my life!! 🙂 Thanks for the warm welcome!!! I have to say the simple breakfast you had sounds mighty delicious! I totally want to try that homemade yogurt too! The breakfast is sooo good 🙂 It’s my go to staple the past few weeks. And the yogurt? Wow. Amazing 🙂 And – surprisingly, easy!